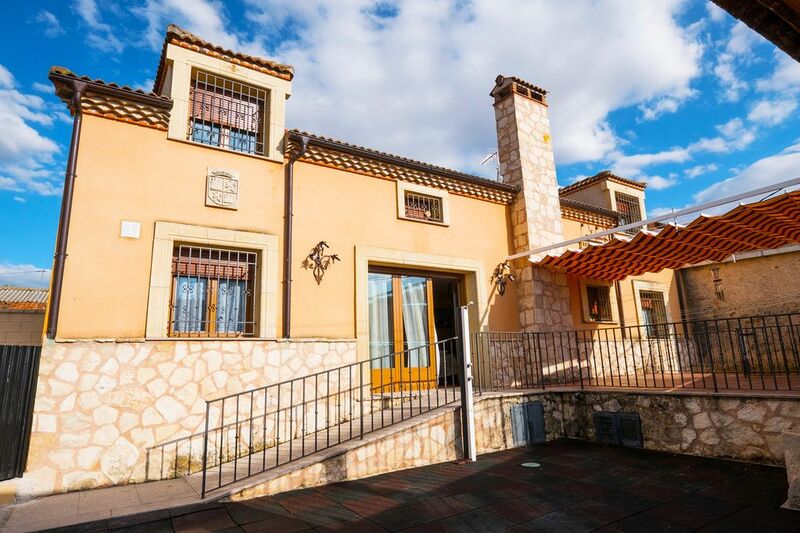 If you want to combine the rural environment and the proximity to a World Heritage City, El Peñasco is the house you were looking for, since it is in Mata de Quintanar, a small village 15 minutes from Segovia, which is also very close to La Granja de San Ildefonso, Pedraza or Turégano. So you can choose to have it as a base for excursions to the province, or to relax in the town and take walks around. The house will surprise you and, of course, you will love it, because of how spacious and luminous it is. Also, if you have mobility problems, this is your home, since it is fully adapted and accessible to wheelchairs, both from the main door and from the patio. It has 2 bathrooms, one of them with shower fully adapted for wheelchair and 3 rooms, 2 of them with double beds (one king-size) and another room with a double bed and another single. It also has a fully equipped kitchen and a living room, with a great fireplace and a large window to access the patio. It is a perfect house for families or for couples of friends with children, because we can not forget something that makes it even more complete: the patio where barbecue can be done, with a great awning so that the sun is not a problem. At Christmas, Easter and bridges only rented for a minimum of 3 nights.